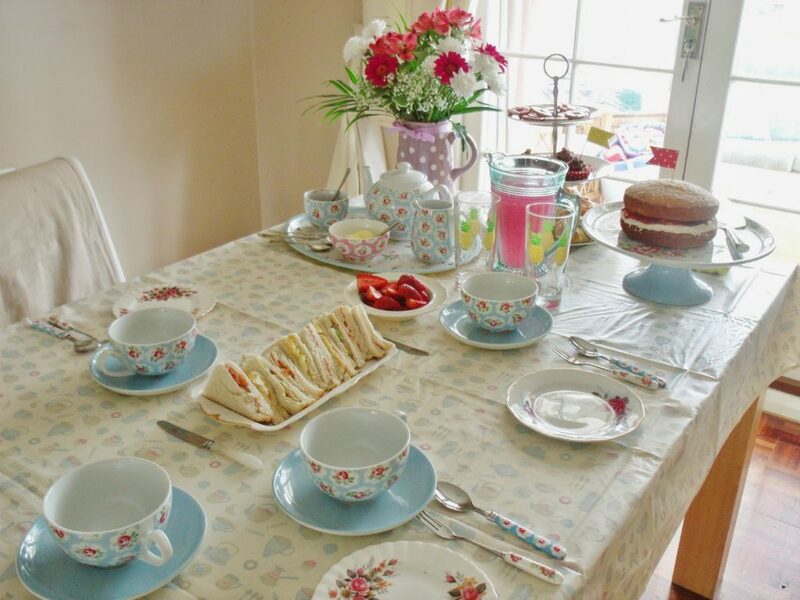 Now I’m going to let the photos do most of the talking here, but a couple of weekends ago we had a little family tea party. Not for any particular special occasion, just because I felt like doing something special and getting all my nice china out. 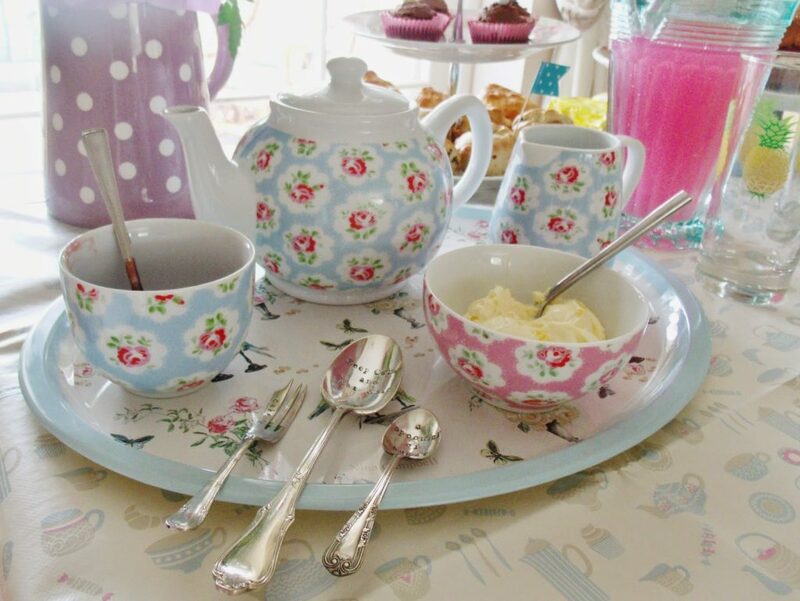 I have a beautiful Cath Kidston provence rose design tea set that I won many years ago. It was my second ever comp win! But I’ve never got round to using it before, and it seemed silly having something so pretty and it being unused. 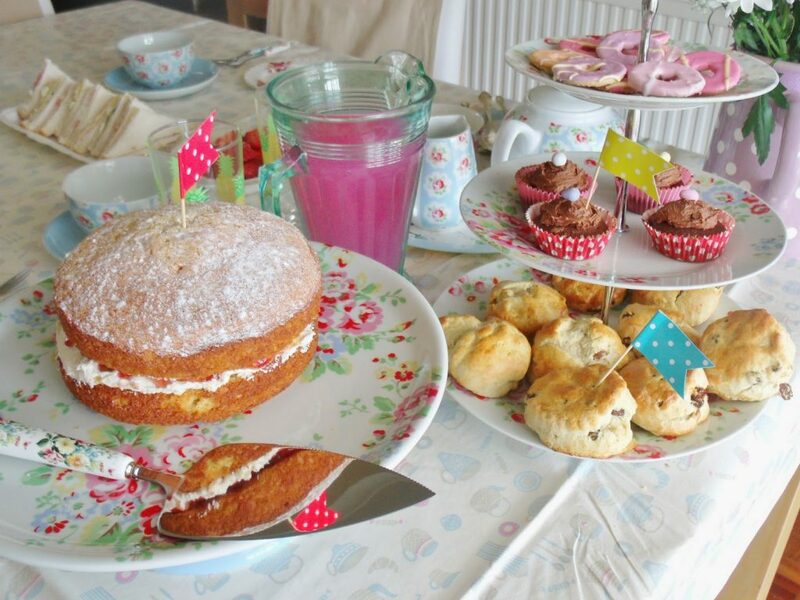 So I got out my Cath Kidston tea set, along with my two Cath Kidston cake stands (one three tier, one single tier), my new Laura Ashley lemonade jug, floral Katie Alice cake forks, English garden Katie Alice cake slice, and vintage plates. 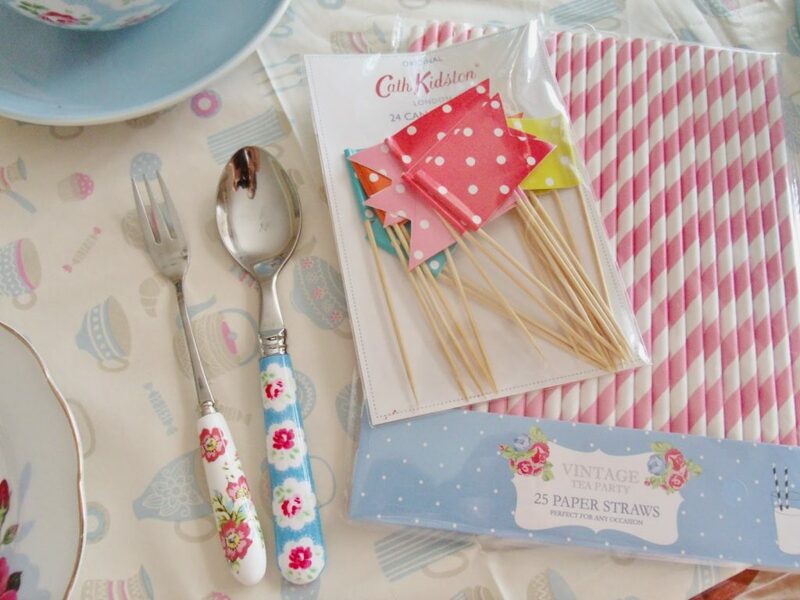 I set the table using my new table cover which was only £2.99 from Home Bargains, and the retro paper stripey pink straws are also from Home Bargains for about 99p. 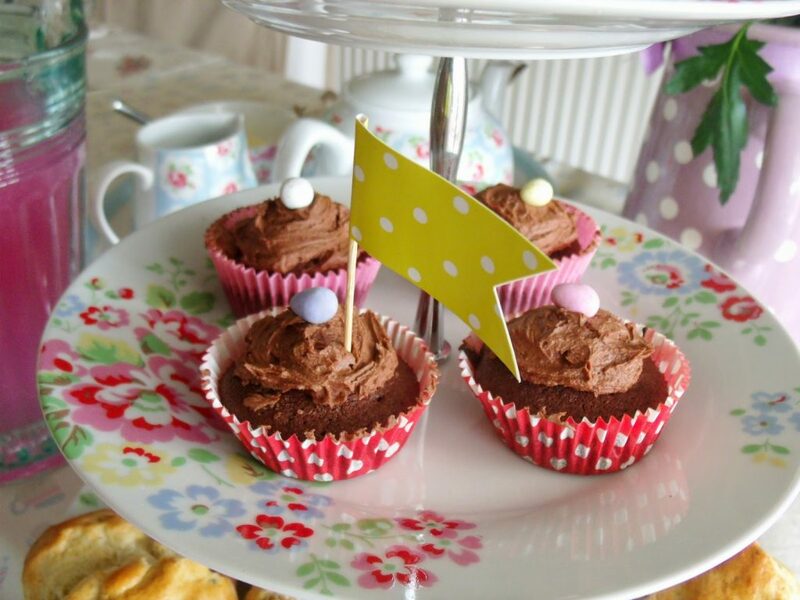 The cute little bunting flags on sticks are from Cath Kidston, but I’m sure they could easily be made by hand! The pineapple print glasses are my favourites from Ikea, they’re only 75p each! Liam also bought me some gorgeous pink flowers which I put in a lilac Laura Ashley jug which looked beautiful. 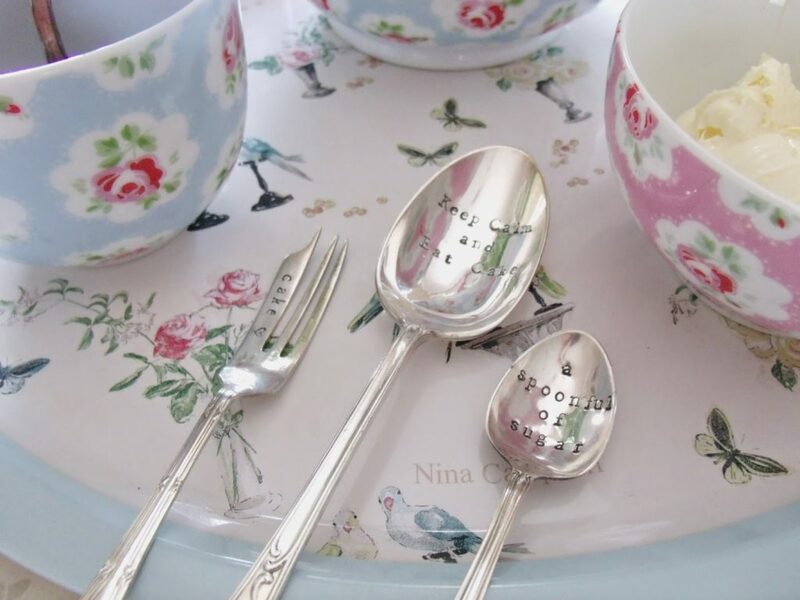 The beautiful cutlery is from Pretty Little Silver, who create personalised hand stamped vintage cutlery. Each piece of vintage silverware is carefully hand sourced and stamped in the Pretty Little Silver Workshop. The lovely Emma kindly sent me a few of her beautiful items, and customised them for me! 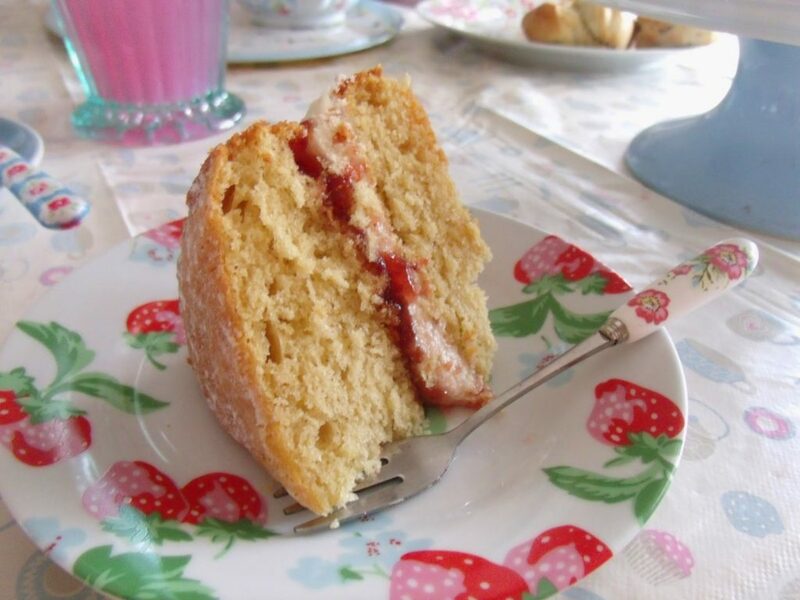 I got three different pieces; a Keep Calm and Eat Cake tablespoon, a Spoonful of Sugar tea spoon, and a ‘Cake’ embossed cake fork with a dainty little heart. I absolutely love my new vintage cutlery, and the embossing gives such a lovely touch! Check out Pretty Little Silver for lots of cute gift ideas! 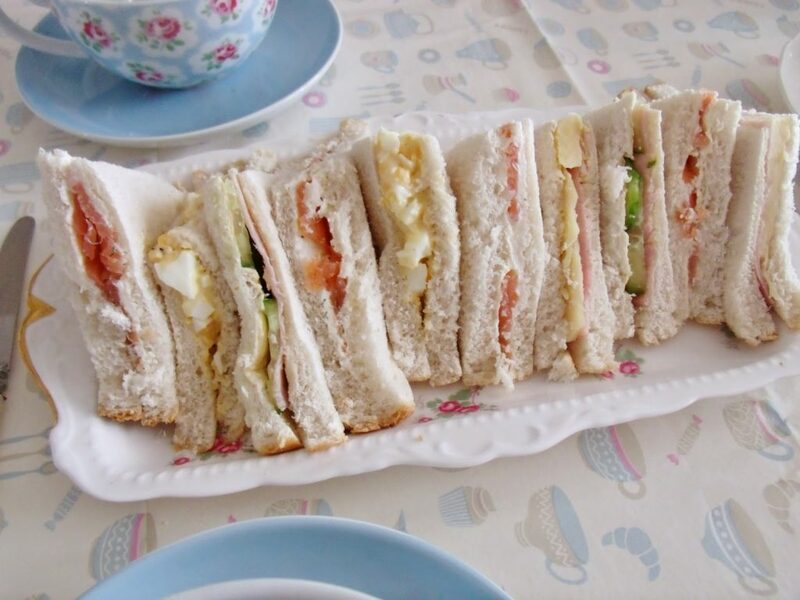 For the food, my Mum prepared us some delicious fresh sandwiches cut into triangles, including smoked salmon and cream cheese, ham and mustard, egg mayonnaise, and cheese and cucumber. 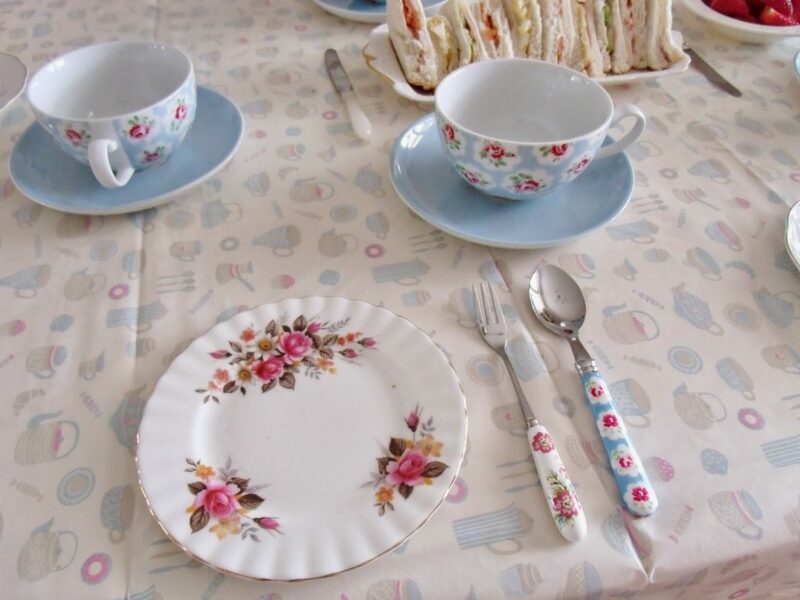 I had a cute little vintage sandwich tray that I picked up from a carboot sale last year to lay them all out on. 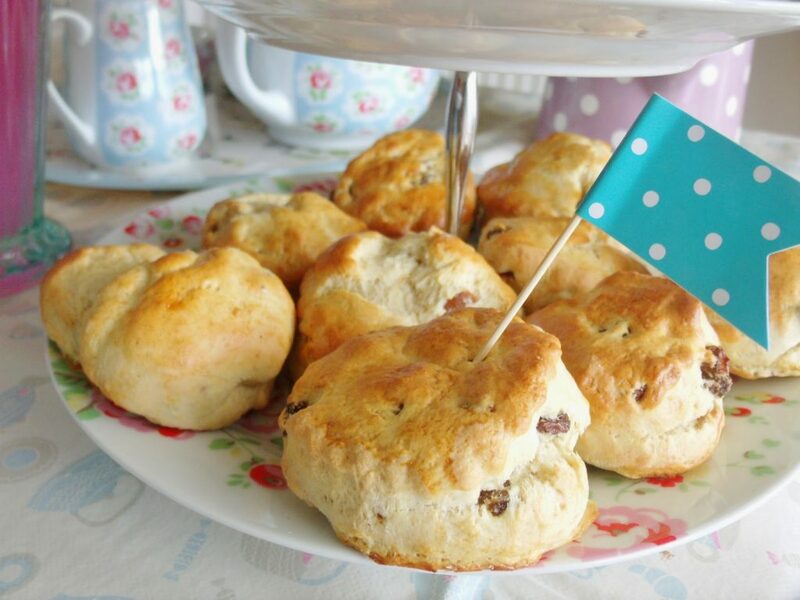 Mum and I also baked the most beautiful sultana scones which I hadn’t made before, but they were a huge success! 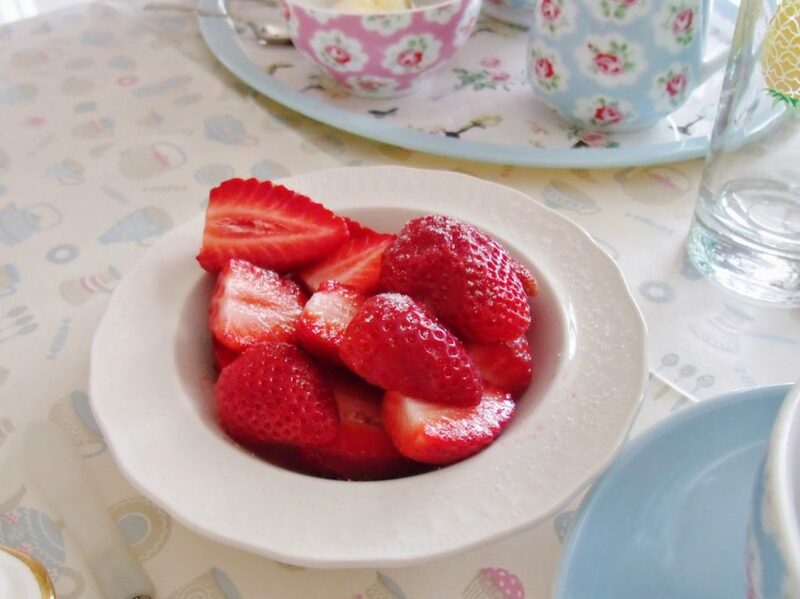 We served these with clotted cream and strawberry jam from little Cath Kidston sugar bowls. 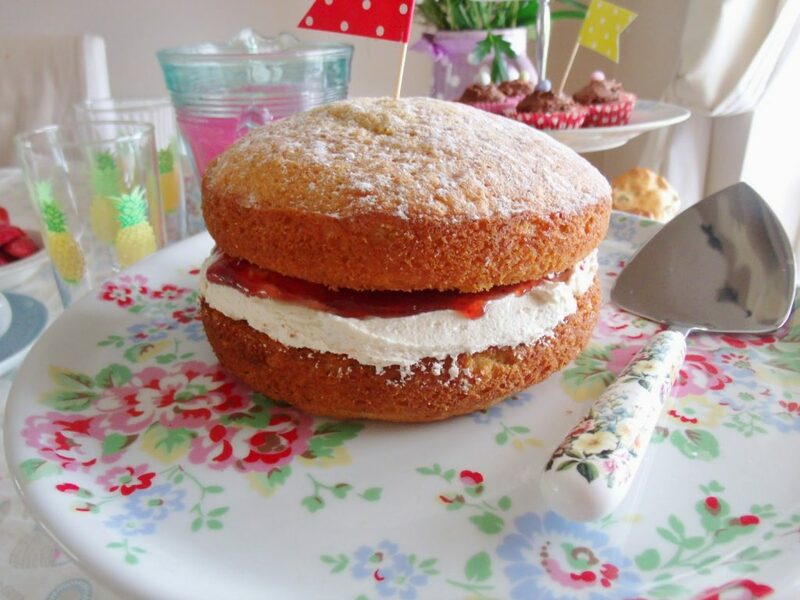 I also made a Victoria sponge cake with vanilla buttercream and jam, sprinkled with icing sugar, as well as little chocolate frosted fairy cakes. Also Party Rings biscuits, just because they’re so pretty and yummy! 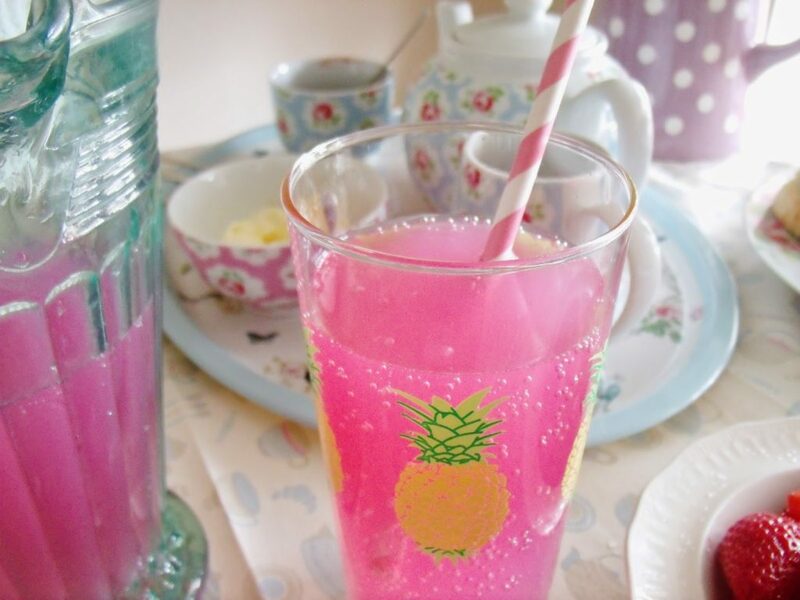 As well as serving tea from the lovely floral tea pot, I also ‘made’ pink lemonade! 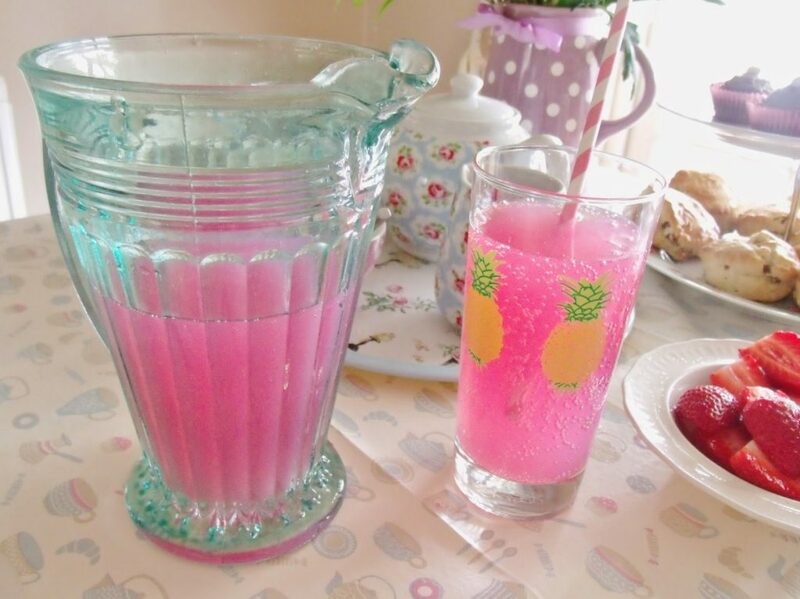 When I say made, all I did was use old fashioned cloudy lemonade and added a TINY bit of pink food colouring to it. Et voila! It looked really sweet with the retro pink straws! My 10 year old niece loved it! 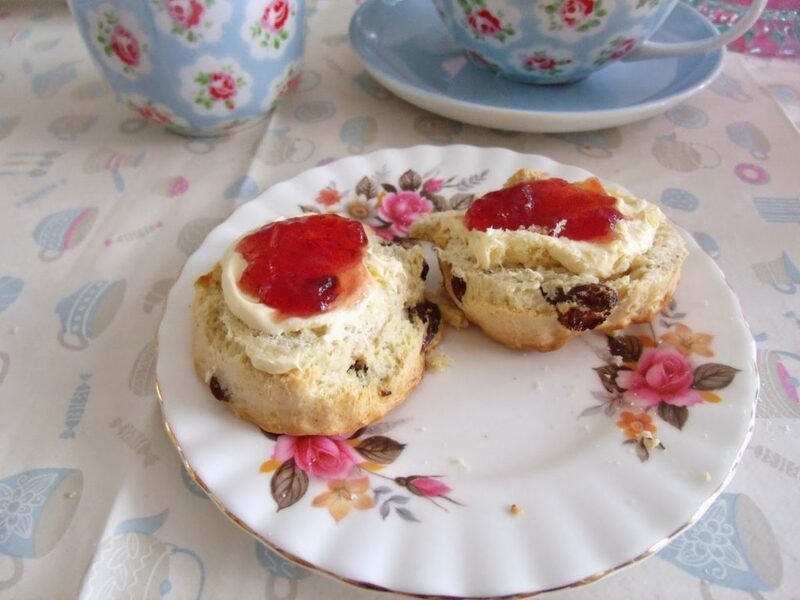 We had a lovely little afternoon tea party, and I’ll definitely be baking scones again! But for now, the pretty tea set will probably go up in the attic. I hope you like the photos! 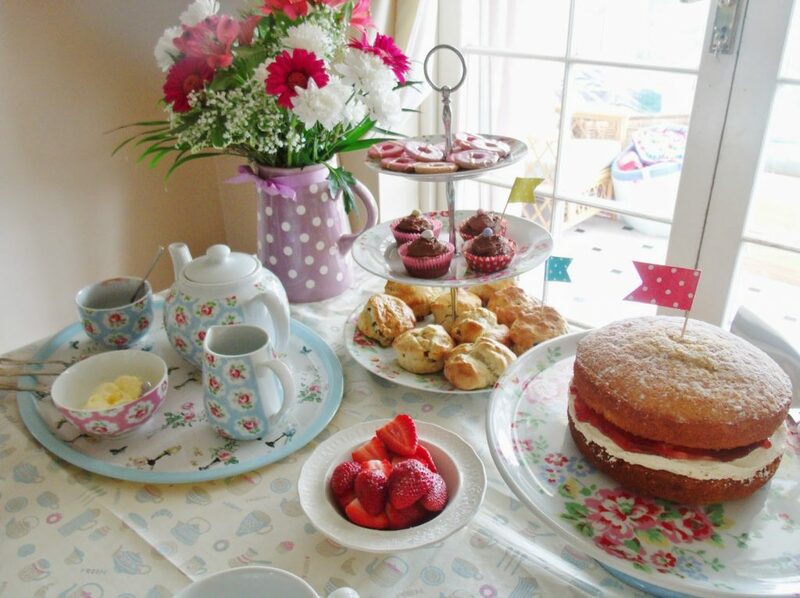 This looks like a lovely tea party! 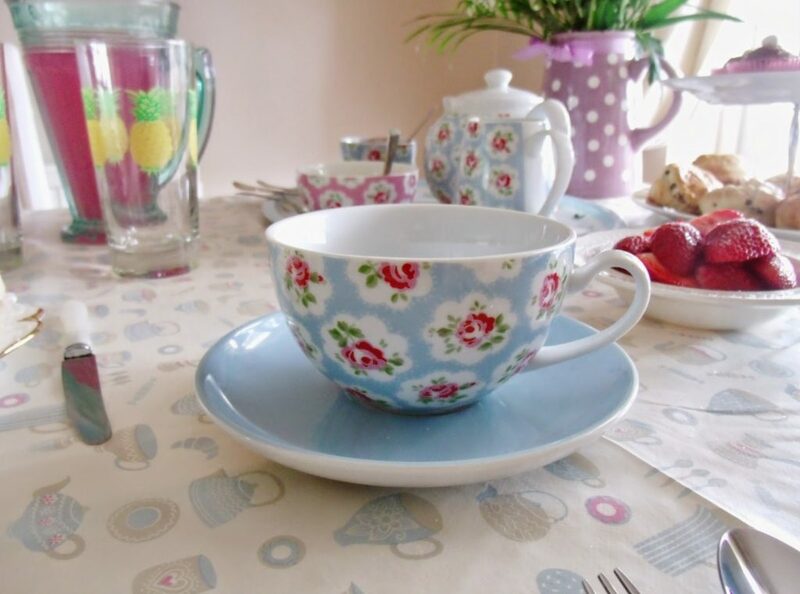 I adore the designs and patterns of Cath Kidston! Looks pretty. Ahhhh Kath Kidston, something else I wish Canada had! 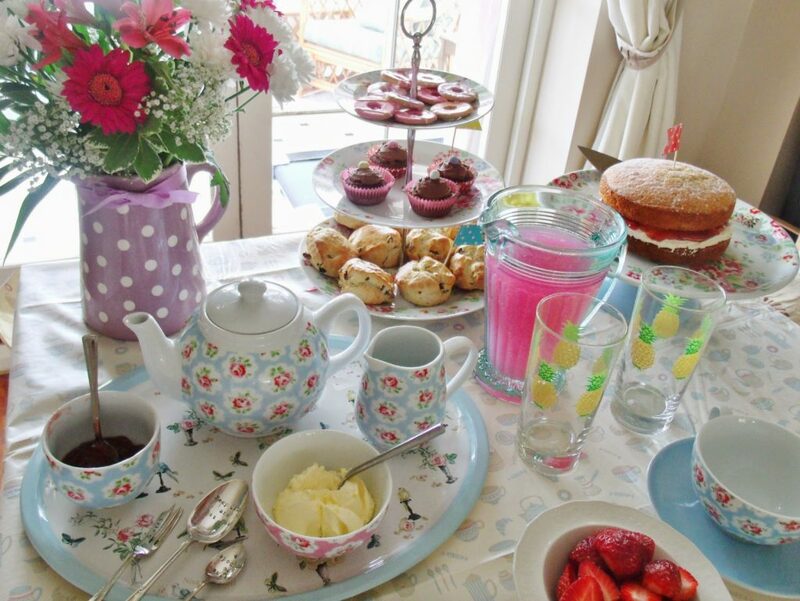 Omg what a perfect tea party, love the pineapple cups! 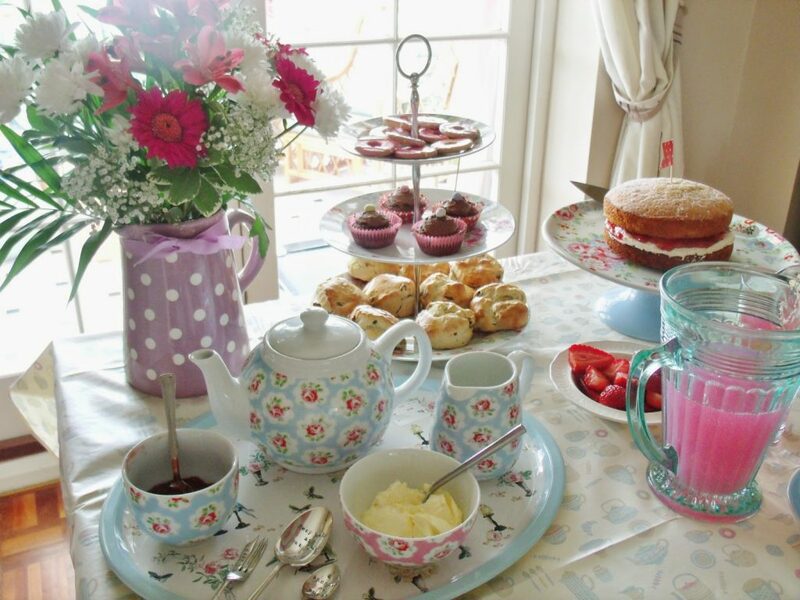 So much gorgeous tea ware and I love the pink lemonade Hun! 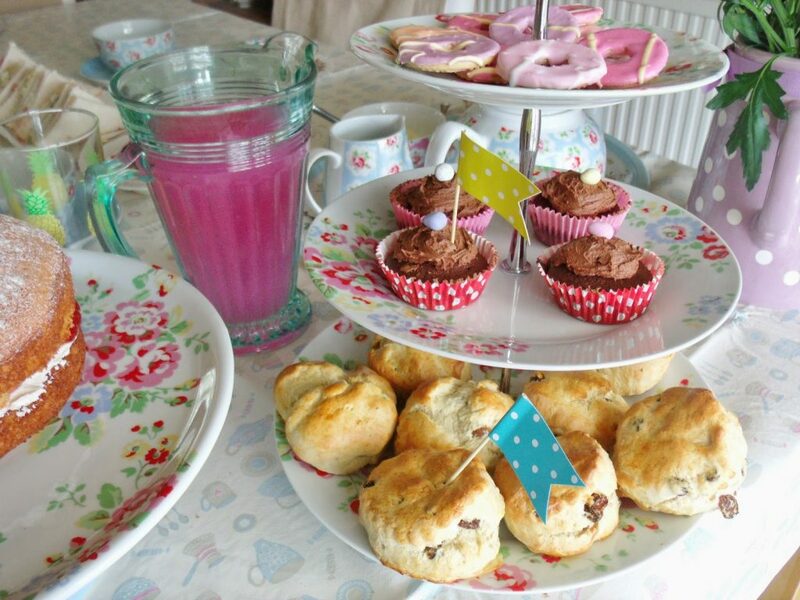 This has to be the cutest tea party, I love the idea! 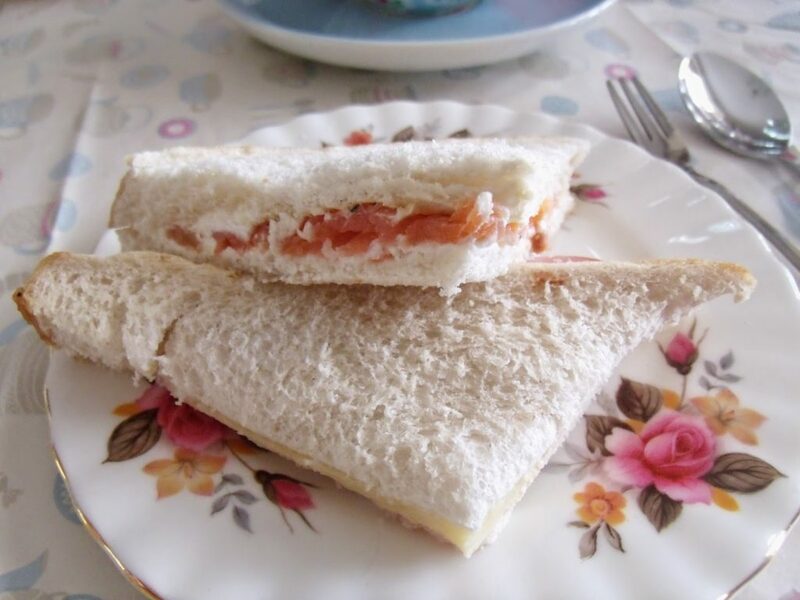 Those sarnies look well tasty.